Careers for the long haul! Eassons, a family owned and operated company, offers an impressive combination of pay, benefits, and a supportive environment for its employees. We've built a strong reputation for hiring dependable drivers, experienced independent brokers and knowledgeable staff. Best of all, we are committed to making sure our employees are well compensated for their hard work and contributions. We are confident you and your family will enjoy working with our team! If you are looking for a successful career in the transportation sector then please take a few minutes to review our current opportunities and either complete an online application or call us at 902-679-1130 to speak with one of our experienced Human Resources staff. Learn about what employment opportunities are currently available across all of Eassons Transportation Group of companies. Interested in working at Eassons? Complete and send an application form as instructed and we will be in contact with you soon. 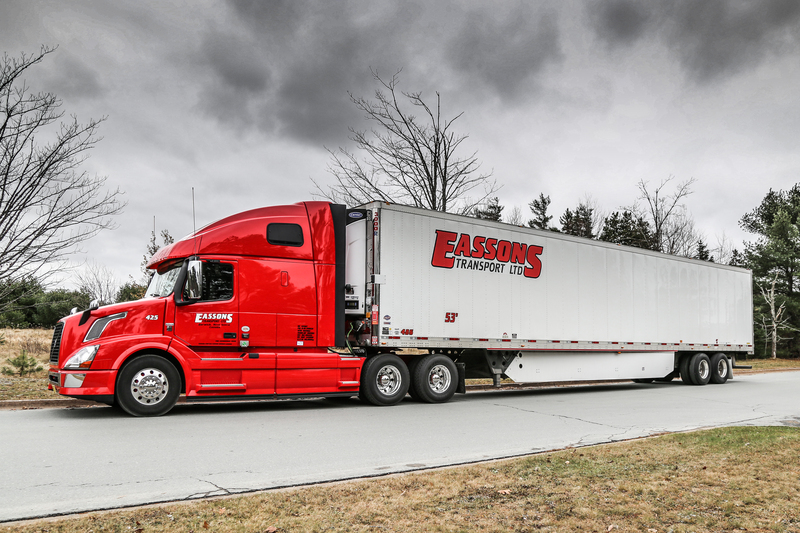 Truck driving is rewarding and Eassons pays above average rates while compensating you for your level of experience.